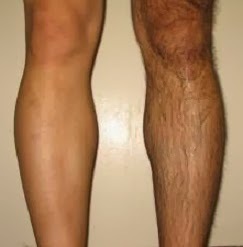 Laser Hair removal:- costly but give you permanent hair removal , more side effects like red bumps skin burn etc. IPL:- less costly, low side effects and give permanent like long lasting hair reduction. I've never heard of this method. I didn't think it would be a permanent method of removal but it looks like it is. Very interesting! I was having an argument with someone at work how these laser treatments work. She kept insisting that they pull out the hair and I told her she was thinking of an epilator. She just kept arguing. I am e-mailing this post to her right now to shut her up! Thanks for the information!